It won't be business as usual for a long-established Kelowna nursery and landscaping company. 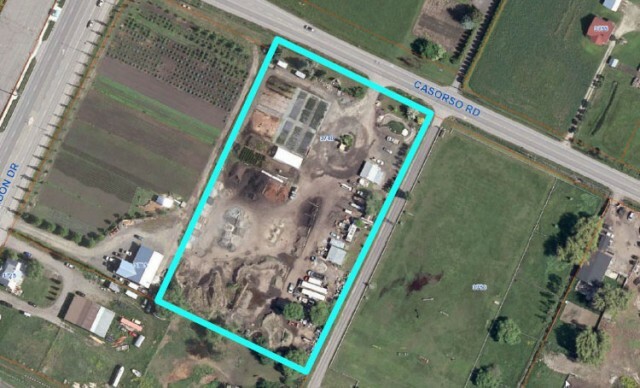 Neway Landscape and Irrigation Ltd. has been in business since 2003, leasing property at 3740 Casorso Road. However, for several years, it has been a non-conforming farm use. The property in question is on ALR lands. The company and its agents came to council Monday seeking approval to continue operating as usual while it slowly moved to make the operation fully conform. "I've been in the nursery business for 20 years and I'd like to continue," the owner told council. "My future, my staff's future could be at stake. I'm trying to see if we could get some support." Council said no, partly because it is within the Benvoulin corridor, an area council says is full of non-conforming uses, and one which it has asked staff to clean up. "Really, what we see before us today is an outcome of the direction we gave to staff," said Coun. Luke Stack in leading the charge against the application. "I think Neway Landscaping is a good company, and I wish them every success in their landscaping construction and irrigation business, but I can't believe that is the right application to be used on this fine farmland." Stack said the business is primarily a construction business, and should be operating from an industrial site. 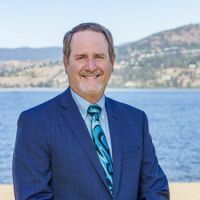 "Today, I think, provides council with an opportunity to send a strong, united, firm but fair message, that we can't allow our quality farmland to be slowly converted to commercial, non-farm uses. "The application on the table before us is for non-farm use. That's what we are being asked, not to help make this a better farm." While most did struggle with the decision, they agreed not to recommend the application. "This is a difficult one, and usually, I try to find any way possible to let farming opportunities to remain," said Coun. Charlie Hodge. "But about 40 per cent of this property is set towards landscaping and irrigation, which isn't allowed. As much as I appreciate there has been a lot of communication with staff, I have to support Coun. Stack on the motion. I think for the sake of farmland, we have to take a stance to protect it." Mayor Colin Basran commended the owner of the company and understood it was an emotional issue, but stated council has to do what's right for the agricultural community. "I recognize you are trying to take some measures to bring it up to compliance by planting more nursery stock and make it more of a farm venture," said Basran. "But this to me is clearly what we are trying to stop in our community." The mayor urged the owner to continue to work with the city is hopes of eventually being able to bring the property into compliance. Premier Christy Clark, MP Stephen Fuhr and Mayor Colin Basran cut the ribbon at Pleasantvale on 13th, 2016. It was a perfect day of celebration for a job well done. The residents had an opportunity to mingle with the dignataries. The Society of Hope staff and their partners, BC Housing, Rotary Club of Kelowna and the City of Kelowna had a chance to reflect on the completion of a massive undertaking. Transferring 50 residents from the old site to the new apartments and constructing 20 new townhome units. The entire process took 6 years from early planning to completion. This was a complex project that required many consultants, including Anne Stack, Juliet Anderton, Kane Bentsen, and Norr Architecture. All of us worked hard to get this project off the ground - my deep appreciation to all! Those looking to take a taste of the Okanagan abroad will now have the opportunity to take in-season fruit on flights leaving from Kelowna International airport. YLW’s Farm to Flight program allows Kelowna residents to show off the agricultural pride of the Okanagan to those across Canada, and lets tourists visiting the bountiful valley take their favourite tastes home with them. The program was launched Wednesday in the departure lounge gift shop at the airport, where travellers can now purchase Okanagan cherries to take on their flight. “Not only will Farm to Flight bring new opportunity and national reach for local farmers but it’ll bring awareness of Kelowna to tourist hubs all over the country,” said Kelowna city councillor Mohini Singh. While cherries are the only fruit currently offered, peaches, nectarines, apples and pears will be offered as they come into season. The fruit is supplied by De Simone Farms Ltd., a fruit grower and packer in Kelowna. Pierre De Simone says while he doesn’t expect to see a huge bump in sales right off the bat, he has high hopes for the program's future. “It’s going to take the passenger coming back a second time, and knowing that it was there,” he said. “It’s going to take a cycle of people coming through and telling their friends. Two pound boxes of cherries are being sold for $9.95, while smaller cups are going for $3.95. Prices have yet to be set for the other fruits, as it will largely be determined by agricultural conditions, but Ed Wong, general manager of Skyway at YLW, says there could be a premium on the price to ensure food safety when crossing provincial borders. Harjit Singh Sajjan has served Canada and his community as both a soldier and a police officer. He continues his service to Canada as the Member of Parliament for Vancouver South and as Minister of National Defence. I had the honor of having lunch with the Minister when he was in Kelowna to attend a Chamber of Commerce meeting. Harjit is a retired Lieutenant-Colonel in the Canadian Armed Forces and a combat veteran. He was deployed to Bosnia-Herzegovina and served three separate deployments to Kandahar, Afghanistan. Harjit has received numerous recognitions for his service, including the Meritorious Service Medal for reducing the Taliban’s influence in Kandahar Province. He is also a recipient of the Order of Military Merit, one of the military’s highest recognitions. Harjit also served as an Aide-de-Camp to the Lieutenant Governor of British Columbia. Harjit was a police officer with the Vancouver Police Department for 11 years. He completed his last assignment as a Detective-Constable with the Gang Crime Unit specializing in organized crime. He proudly tackled gang violence and drug crimes in Vancouver. Harjit is also a human security specialist, and has lectured to a wide audience in both Canada and the United States. Kelowna's new plan for the possible future development of what it calls its Civic Block—an area of downtown bordered by Queensway, Clement, Ellis and Okanagan Lake—says the land currently housing the soon-to-be replaced RCMP detachment should be redeveloped with mixed use housing in a building as tall as 13 storeys high. • A new performing arts centre to replace the existing Kelowna Community Theatre. • A new civic building on the existing city hall parking lot.